These paninis were a play on the most unbelievable tomato mozzarella sandwich that I picked up from Whole Foods in Boulder. It had the most incredible pesto mayo. You could eat with a spoon, honestly. Being the healthy person that I am I decided to make my own without the mayo. 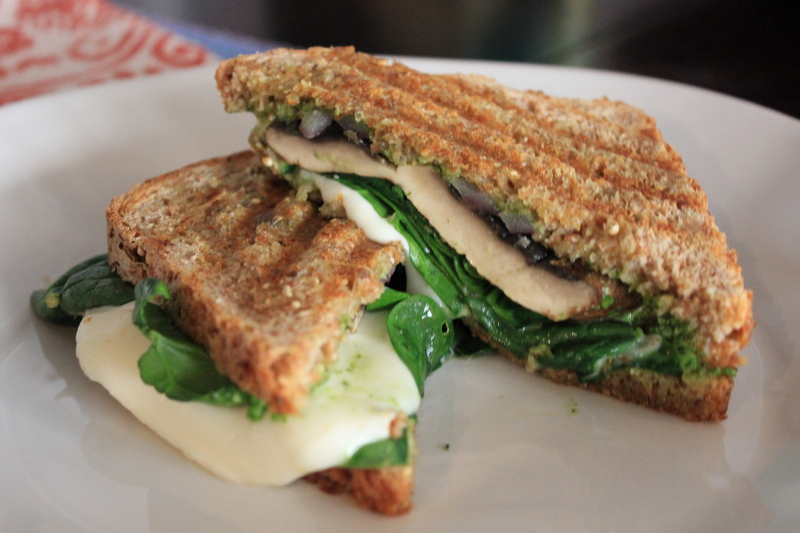 I whipped up some of my pesto, pulled out the Griddler and voila, paninis! 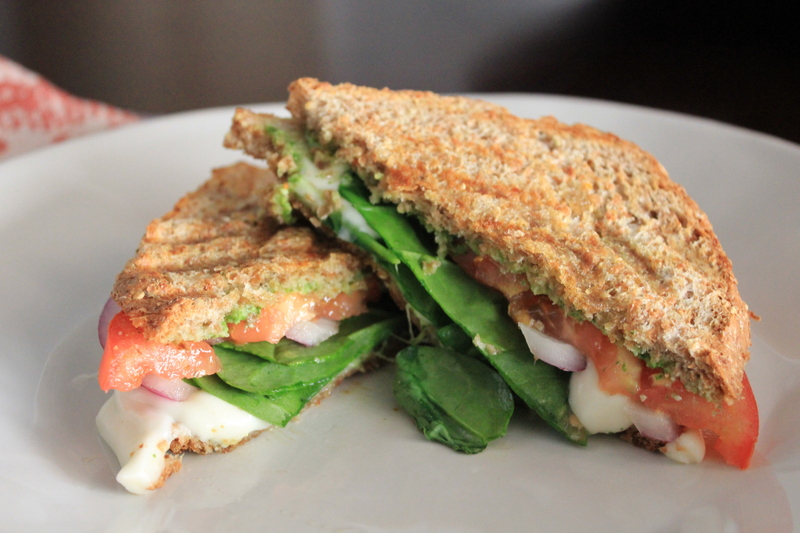 The paninis two ways is a result of Michael’s strong dislike of tomatoes. 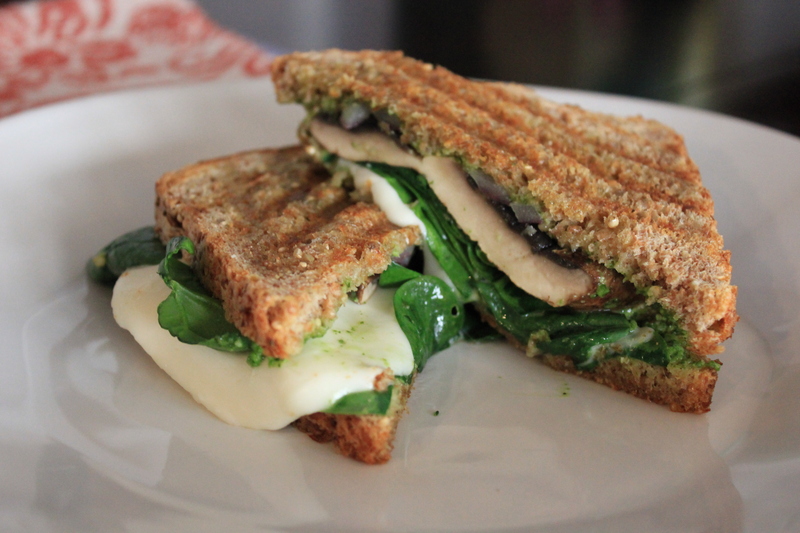 He had the panini with the portobello mushroom, spinach and onions, while I had the tomato, spinach and onion version. I kind of wish that I had added a mushroom to mine because it would have been out of this world. Heat a grill pan, Griddler or panini press to medium heat. Spread the pesto on one half of the bread. Top with two slices of tomatoes (if using), mozzarella, 1/2 cup of spinach, mushroom (if using), and onion. Spread pesto on the other half of the bread.